Welcome to the INTERNATIONAL MANUFACTURING RESEARCH CONFERENCE 2017! 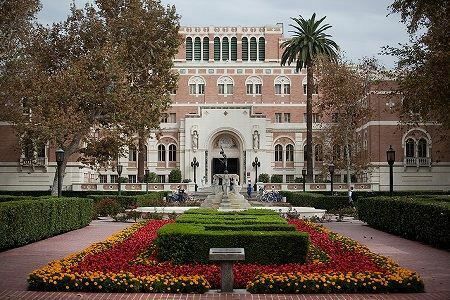 The University of Southern California, located in the heart of Los Angeles, is one of the world’s leading private research universities. Los Angeles is a global center for arts, technology and international business. The greater Los Angeles area is the second-largest urban region in the United States containing about 13 million people. The USC campus is about 1 mile from Korea town, 2 miles to Little Tokyo and Chinatown, and a quick subway ride to Santa Monica beach. The weather in Los Angeles is mild all year and in June, the average low is 57°F and the average high is 78°F. The campus is conveniently located next to many forms of public transportation making it very easy to visit. The conference will be held on the main campus and includes keynote and technical presentations, expert panels, student poster presentations, industry partner exhibitions, an early career forum, lab tours and a reception at The California Science Center located in Exposition Park, directly across the street from campus. Bookmark this website for future updates as more details are confirmed. Mark your calendar now for June 4 – 8 and start planning your visit to Los Angeles in 2017!